The food-truck fever is all over the United States and of course, our fellow Filipinos have also caught it. Filipino food is one of the best in the world and these food-trucks make them accessible to almost all the people in Cali! We've researched eight food truck businesses around California that serves mouth-watering Filipino food with their own twists. Achara is known for their Filipino barbecue and rice bowls! Classic Filipino food like Adobo, Sisig, and Bistek are served in rice bowls, burritos, or tacos. You can usually find them in places within Burbank City. Check their locations via their website or their official social media accounts! Serving Filipino food with a North California twist! That's what Hula Truck is known for. Adobo Omelette, Bayrito, and Lechon Kawali are some of their bestsellers. Find out where they are heading next by checking their official accounts! Another famous Filipino food truck is Jeepsilog! They usually serve food around San Francisco and Daly City. They have different silogs on their menu, lumpia, and even Bibingka! Never miss the chance to try out their food! 'Stalk' their next locations on their social media accounts! 'Traditional Filipino Delicacies' are what Ma Sarap Food Truck serves. They offer Lumpia, Pancit, Chicken Adobo, Pork Sisig, etc. and everything on the menu were recipes of Phylisis Antonio, the face of Ma Sarap Food Truck. A fusion of Filipino and Mexican food, Señor Sisig, offers different kinds of sisig in different ways. Tacos, Burritos, Nachos, or with rice, you name it! It has truly redefined the street food that San Francisco has to offer. Visit their official website and social media accounts to know more about the delicious food that they have on the menu! Spoon & Pork serves food that were 'born in the Philippines and made in LA'. They serve Filipino food that they gave their playful take on but still delicious. Some of the food on the menu are Arroz Coddled Egg, Chori Burger, and their Filipino Grilled Chicken. Don't forget to hit them up on their social media accounts to know where they'll be next! Named after the Tagalog word for 'delicious', The Sarap Shop offers healthy but still yummy food that will surely make a tummy happy! All their mains can either be prepared as a rice bowl, a sandwich, or a salad.. you pick! Plus, you have to try out their Halo-halo milk tea! Last on our list is the eight-year-old, White Rabbit Truck, which also serves Fil-Mex dishes. You can choose whether you want your meat with rice, in a taco, as a burrito, or quesadilla! Oh, and don't forget to try out their lumpia too! There you have it. Eight food trucks around California that serves Filipino dishes! 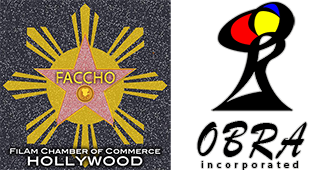 In the next articles, we will have a much closer look on these businesses and what they offer so make sure to check Pinoy California from time to time!